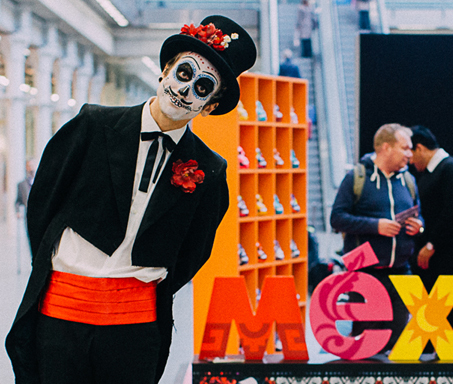 Spring + Autumn 2015: In 2015 Chivaree worked with two national tourism boards, Wales and Mexico. 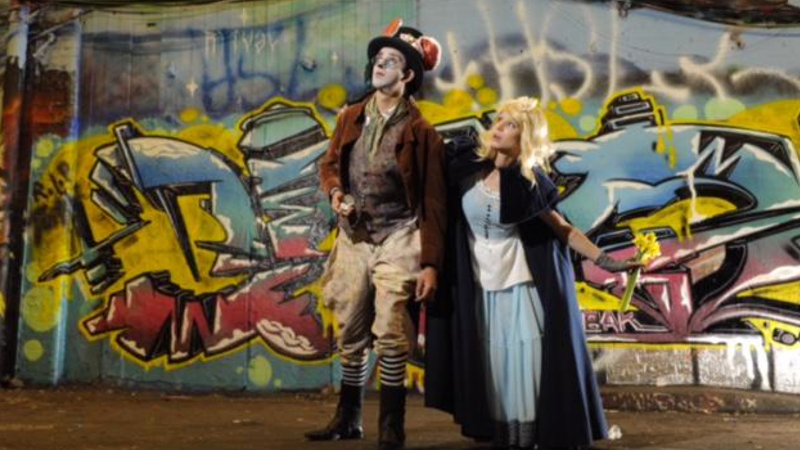 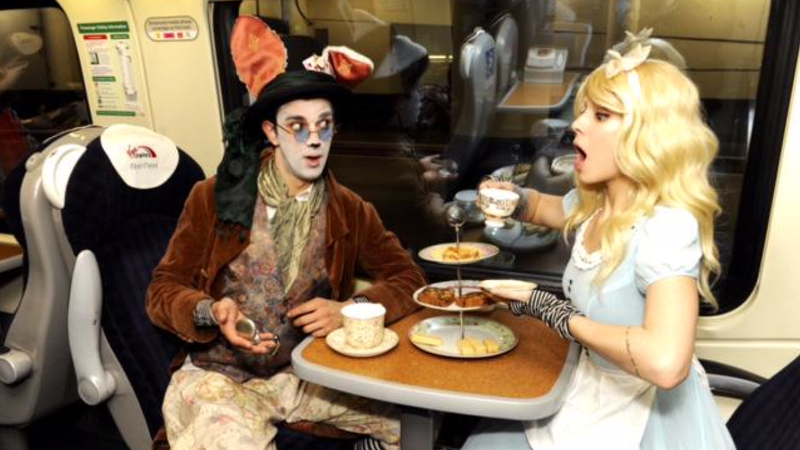 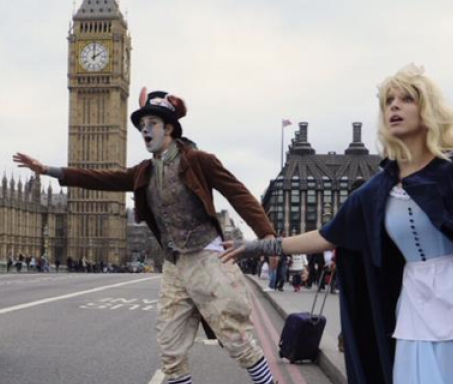 In the spring we helped Weber Shandwick to promote the Welsh town of Llandudno – where Lewis Carroll spent much of his time – by creating a set of Alice in Wonderland costumes and interactive characters and unleashing them on the streets of London. 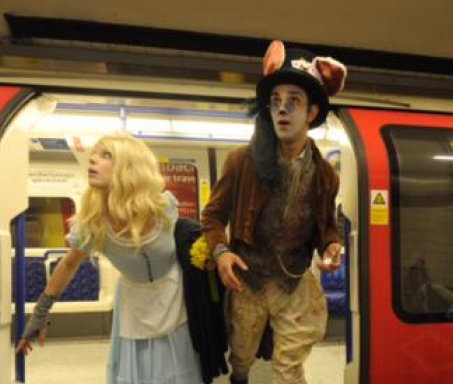 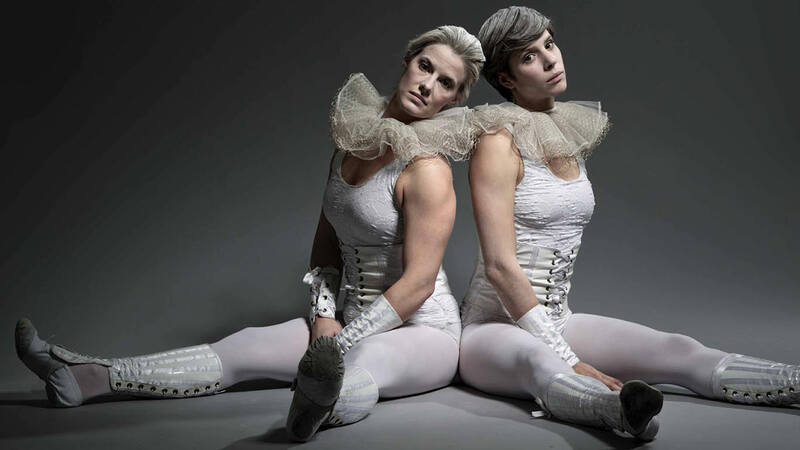 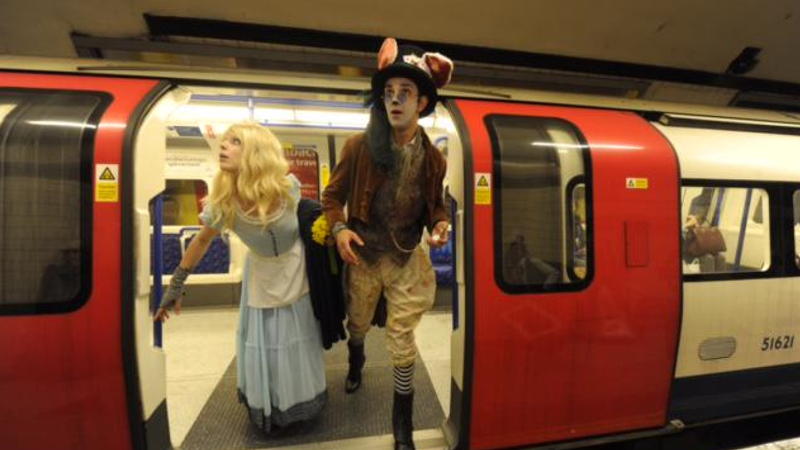 To celebrate the 150th year anniversary of the publication of the absurd novel, our Alice and White Rabbit encouraged social media users to take selfies with the hashtag #Wonderlland. 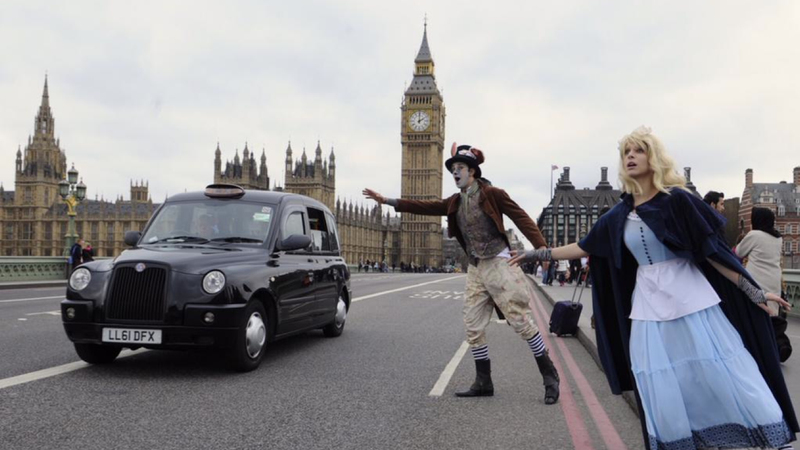 The viral campaign went around the world, was picked up by a number of celebrities and was featured in several national and regional newspapers. 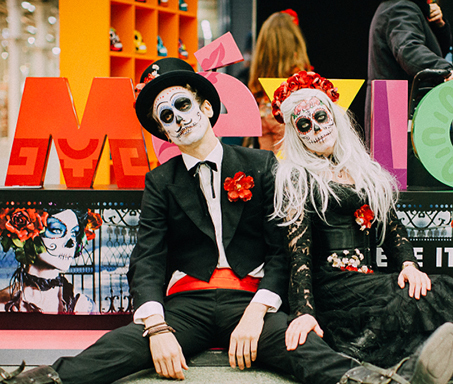 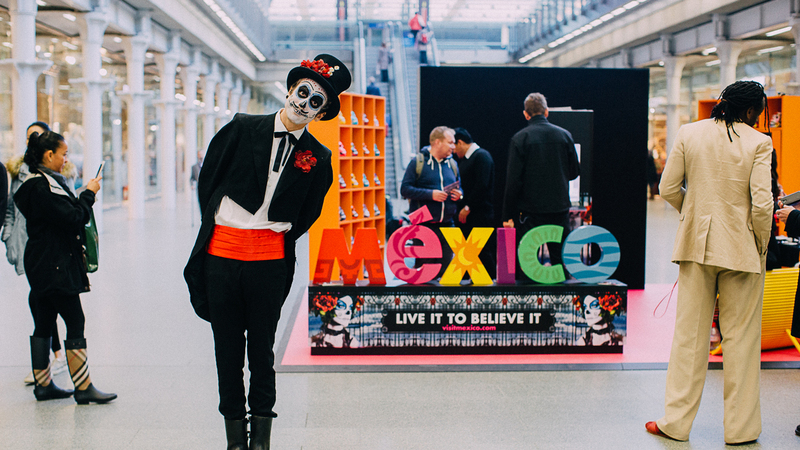 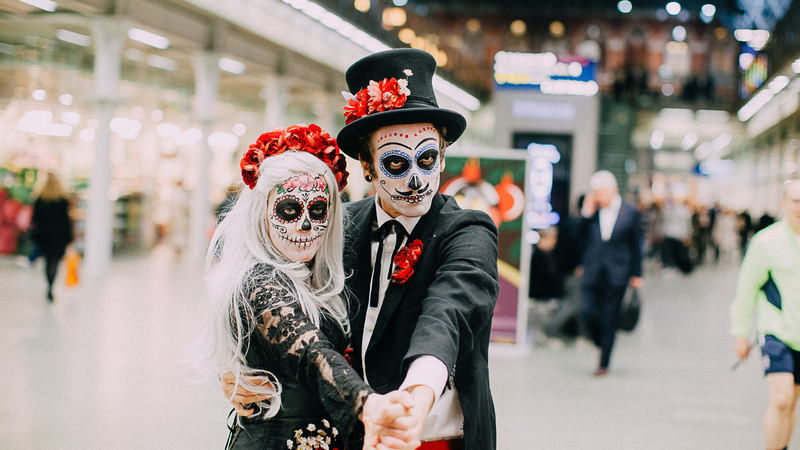 Later in Autumn to promote the culture and tourism opportunities of Mexico we worked with creative photo booth The Flash Pack and the Mexican government to create characters for a week long pop up installation in Kings Cross. 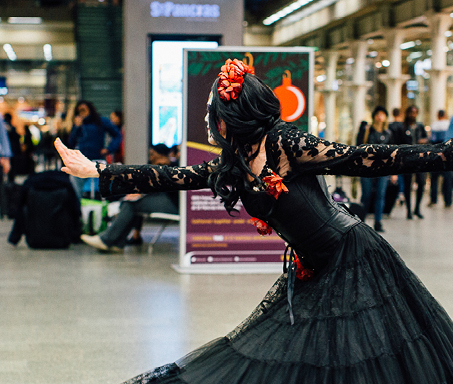 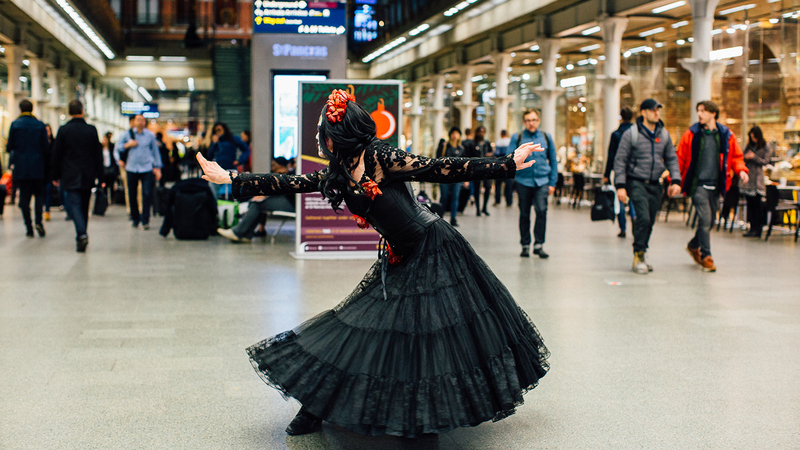 Travellers in the station could meet our interactive actors and have their photo taken. 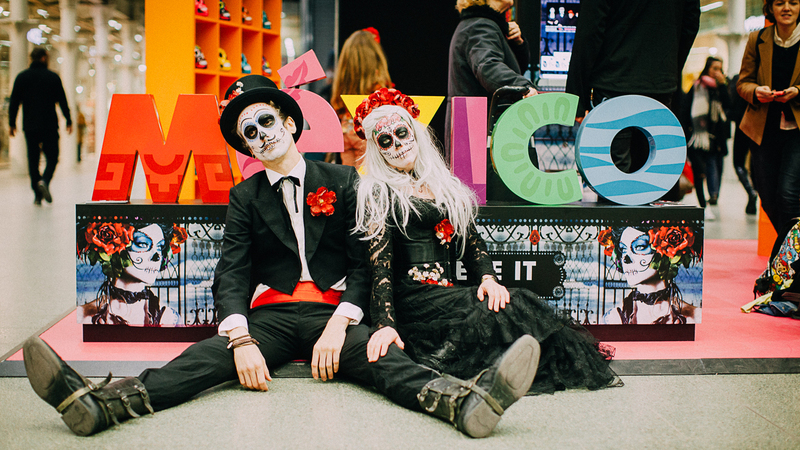 The costumes we created were in the classic style of the Dios del Muertos. 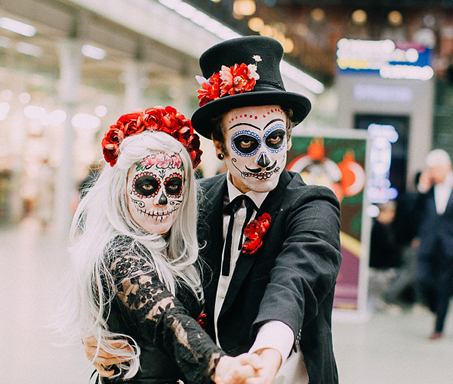 These needed to be accurate and properly representative so we worked closely to ensure the client was happy with the design and implementation.